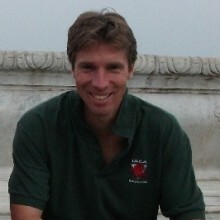 Luke is the Managing Director of ISCA. He is responsible for identifying new schools and travelling abroad to present the ISCA program to students, parents and teachers at interested schools. He has a BA and MSc degree from the University of Sheffield, and often attends events speaking on 'Educational Reform in England'. Luke is very keen on soccer, captaining various University teams, and is a Football Association qualified coach as well as being a hockey and tennis player. Luke's sporting interests have allowed him to work as a personal trainer and fitness coach, something he still enjoys doing in his spare time. 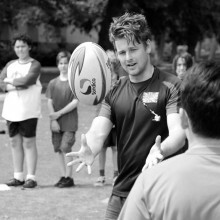 Luke was a student at Charterhouse School, our campus, and was Head of School in 2008/09. 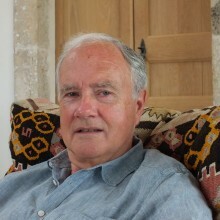 Richard is the founder of ISCA. A graduate in Law from Hull University, he worked for the accountancy firm of Arthur Andersen, which he left to become a pilot in the Royal Air Force later taking up a teaching career. He was a Head of 3 schools in the UK, the first of which he helped to set up in London as a school for gifted children. Richard’s sporting interests are rugby, squash and athletics for which he represented his university, as well as ancient history, modern and ancient Greek, theatre, opera, piano and politics. He commutes between London and the Greek island of Corfu where he lives in a converted olive press with his wife, Katherine. He is also involved in a project to revive the Corfu Opera begun by the Venetians in 1733 but in decline after the opera house was destroyed by a bombing raid in 1942. Freya has been working for ISCA full time since September 2017 after graduating from the University of Sheffield with a Master’s degree in International Development. Netball was her sport of choice throughout her school and university careers however Freya is happy playing any sport, be that soccer, hockey, volleyball, rounders or fives. 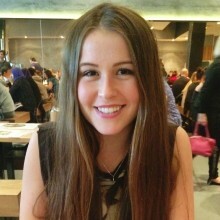 Not only is Freya passionate about sport but she also loves art, reading and music. Freya has valuable experience working with middle school students, having taught in a school in Mauritius for a year and also in Kenya for 3 months back in 2014. She loves to discover new places, experience new cultures and go on exciting adventures. Sarah has worked as a travel consultant for over 20 years & was a Branch Manager for several large Travel Companies. During this time Sarah spent a lot of time travelling and experiencing cultures across the globe. 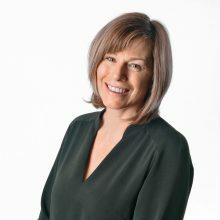 After having her son Zack in 2008, Sarah decided she would like to spend more time with her family but still wanted to utilise her travel expertise. Sarah now runs her own Travel Franchise which offers a personal service, creating and planning travel experiences and prides herself on her customer service. Sarah still enjoys travelling with her family and is very excited to be now working with ISCA. 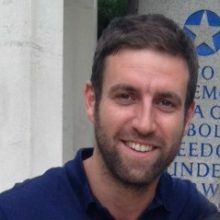 Ian is a fully qualified teacher with over ten year’s experience of teaching students aged 6 to 14 at various British and international schools. His current post is at a prestigious British Primary School in Madrid, Spain. His teaching philosophy is based on setting himself as an example of the way he expects his pupils to behave. Ian prides himself on being able to create a learning environment where students feel respected and listened to, and he hopes to replicate this when setting up the ISCA community at Cranleigh. Ian is a huge football fan. He is a lifelong Gooner and a season ticket holder at Atlético de Madrid. He has a long history of running, having completed three marathons and various other long distance challenges. He has also been lucky enough to travel the world extensively, and began his teaching career in Fiji. Michael has been a member of the ISCA staff for 19 years and over that time he has witnessed ISCA evolving from strength to strength. Michael has a passion for all sports and is also interested in the arts. He loves to see students try new sports, show off their skills or express themselves through creativity. Currently, Michael is studying a Teaching degree at the University of Nottingham and he looks forward to become an internationally recognised teacher in September. At present, he is working at an international school in Warsaw where he is inspired by working with students from across the globe. He believes that such a fusion of different cultures helps the positive growth of young people. 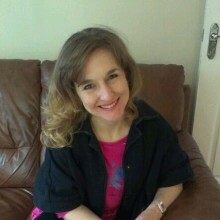 Rosie is a fully qualified primary school teacher currently working at an Independent School in Surrey. She is originally from Zimbabwe where she was educated and gained much of her knowledge and experience of a wide variety of summer sports, many of which she coaches at ISCA. She enjoys pastoral care and has two of her own children, both of whom have tasted a full ISCA programme. 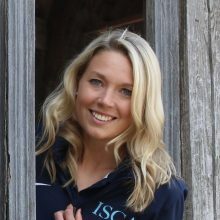 Rosie is passionate about the global interaction, culture and sports that are experienced whilst at ISCA. The Captain is an ISCA veteran! Tom has been with ISCA for over 10 years and is delighted to once again be leading one of the Boys Houses at Charterhouse. 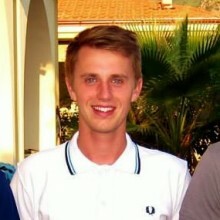 Tom is an excellent sportsman, playing Squash, Cricket, Soccer, Tennis and Golf to a high (nearly professional!) level. Tom is also a truly global citizen, there are very few countries Tom has not lived at one stage or another. 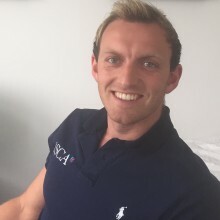 Tom was instrumental in the success of the Rio 2016 Olympics where he was one of the high profile athlete liaison officers, and nearly ended up competing in the 'C-1' Kayak category. 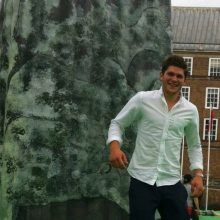 Tom is also involved in countless charities and will soon be setting up ISCAs very own charitable arm! Rhian is a third year Psychology undergraduate at The University of Sheffield. She is a keen sportswoman and devotes her time to representing her university at netball and coaching her society netball team as part of her role as sports secretary. Her other interests include singing, surfing and writing. Rhian is excited to spend another brilliant three weeks on the ISCA team this summer. Ramzy is a BSc graduate in Sports and Exercise Coaching from Sheffield Hallam University. During his time there he worked with children in schools; as a P.E teacher as well as volunteering roles in the community. Ramzy has a passion for sports of all natures including boxing – which he does professionally. 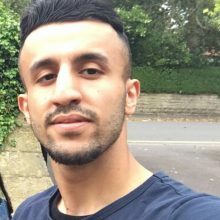 Due to his athletic lifestyle Ramzy regularly participates in sporting events such as half marathons and playing for local football teams, this lifestyle has led him to working as a fitness coach and personal trainer at the University of Sheffield. Ramzy has a keen interest in British history and culture – particularly Lord Nelson and HMS Victory! Toby is excited to be spending his first summer working on ISCA. After being asked to film the campus’s in 2017 using a drone and seeing first-hand what an enjoyable environment it was, he’s decided to join for 2018. Toby is a very keen sportsman be it tennis, cricket, golf ,cycling, swimming to name a few. He was recently given the opportunity to race around the world famous TopGear track in a Caterham 7 which he loved but his real sporting passion is skiing. After training with the Austrian ski school, he spent several years teaching all ages various skills needed to be the best they could be on the slopes. He also spent 4 years working at an outdoor pursuits centre in Surrey called 3PKS. His role as Head Instructor was to organise and teach children new skills whilst working well as a team. The activities varied from team building exercises, archery, paintball shooting to larger more extreme activities such as high ropes, quad biking, zip wire. Toby loves to travel and explore new places, he recently came back from New York after working on Frozen the musical that was premiered on Broadway. He thinks travelling and meeting new people is important especially as you can always learn from others. 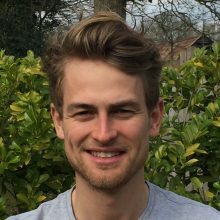 David graduated from the University of Sheffield two years ago, and is now working as an English teacher in Nanning, China; having moved abroad to pursue his desire to travel and teach English. 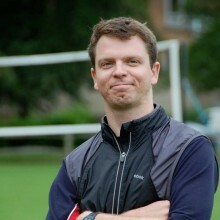 David is an avid Football and Tennis player and his love for sports and working with children inspired him to take up Sports Coaching during his studies. Having had an unforgettable time on last year’s program, David is making the long journey back to England to re-join the ISCA team. 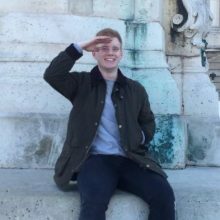 Daniel is currently in his third year at the University of Sheffield reading BA Geography and is the Vice President of the Geographical Society. From an early age he has played a range of sports including tennis, badminton and athletics amongst others. He currently represents Sheffield Engineers Rugby Football Club and prior to university played football for Buckinghamshire County Football Club. Daniel also enjoys travelling, immersing himself in different cultures and he has a keen interest in history. This will be Daniel's second summer working for ISCA and he cannot wait. Sam is delighted to be starting his first summer at ISCA, having worked at a renown sports summer camp in Massachusetts for 4 years. During his 4 years in MA Sam taught football, water skiing, wakebording, tennis and golf! 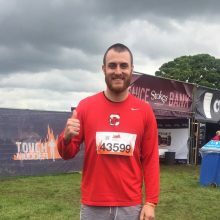 Sam has also worked as a recreational assistant at Sport Sheffield for just over 9 years and has recently started a new role as a duty manager. Sam also holds a season ticket for Sheffield United and follows them around the country when able. He plays football on Saturdays for a local 11aside football team and enjoys going to the gym. Sam enjoys traveling the world, especially the USA!